The announcement for the trade fair went out in Octobe, 2016. The students in the Aflatoun program were very excited about the news. 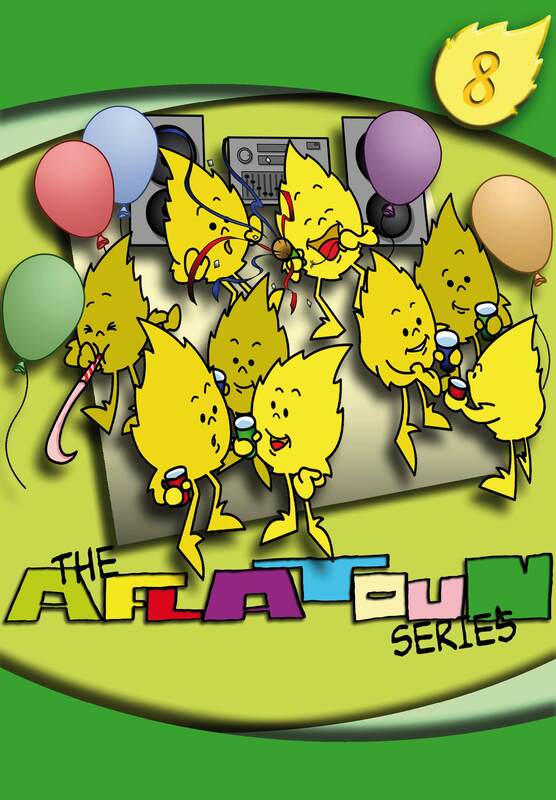 The Aflatoun program has started on October 1st in 12 schools. Three of 12 schools asked to participate in the trade fair and submitted an application. Trade fair took place on October 15th, 2016. The students of Yerevan # 184 school had made ceramic vases and the students of Azatan Shirak had prepared picture frames. The students of school 23 of Gyumri had decided that they were not going to market a product but they were going to inform consumers of their rights. When the students of this school had conducted a survey among their community members, they had realized that not only they young peers are unaware of their rights, but the adults lack awareness just as much. Hence they had decided to organize seminars for their peers at the school talking about consumer rights. Hearing of the Trade Fair, they decided to hold an open air class on the subject. In this connection, they had prepared booklets and posters. Students decided to use part of their profit for solving a public issue. The students of azatan from shirak region had profit of 9000 drams and decided that they would use the money to clean the banks of the river running through the village. 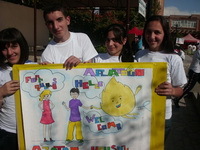 Junior Achievement in Armenia has pre-piloted the programme in 2010. This year the organization decided to pre-pilot the programme again with 120 children. During the activities a special activity was done by the children. In one school in Yerevan, 23 students with the help of a teacher, Hasmik Simonyan, collected toys, books, clothes in the school and organized a visit to an orphanage on October 5th. Both the children of the orphanage and the school students had fun and enjoyed their time together. Now these students have launched “ Toys and Books Drive” which will run from November 30 to December 21 aiming to support charities for underprivileged children. They encourage everybody at their school to reach out for children in need and give them a reason to celebrate the festive season and make their New Year celebrations bright and memorable. Another school that is implementing the Aflatoun programme applied to the Director of their school with a request to implement Inclusive Education Program at their school and create the best environment for physically disabled students. Now the school Board of Education decided to embrace Inclusive Education Program in the school curriculum. These are great developments in the Armenian programme and the partner will keep on trying to mobilize the necessary resources to make sure the programme can keep on being implemented by the teachers.